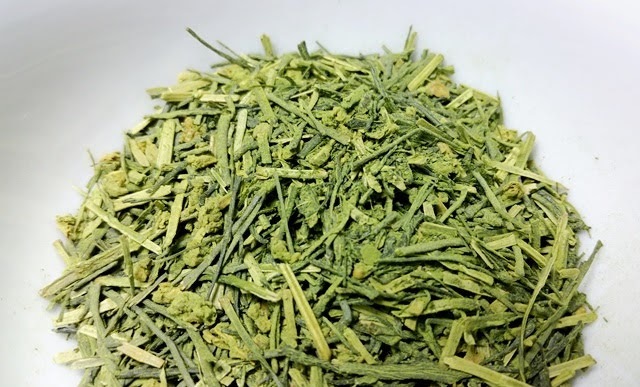 Sugimoto America first introduced their line of flavored green tea blends at World Tea Expo 2016. Those original blends have been improved and refined or have fallen by the wayside to make room for new blends over the past two years and now I have opportunity to review three of SA's current line. Note that these teas are only available in bulk (.5 lb) or sample size. Product Description: The blooming of Sakura on cherry blossom trees across Japan marks the end of winter and the coming of warm weather and merriment. The sweet taste and the aroma of the flower petals and cherry blossom leaves compliment the smooth taste of the rich Sen Cha. The flavor is reminiscent of Sakura Mochi, a traditional springtime treat. The dry leaf blend includes green tea, cherry blossom leaves, and cherry blossom petals. The aroma is mineral green with cherry blossom notes. The bright green infusion has an aroma of sweet cherry blossoms and green grass. The taste is mildly astringent, thick, and savory with notes of cherry blossom, cooked edamame, and string beans, with a long finish. A second infusion at a reduced time (1.5 minutes) was opaque with more pronounced astringency which mellows out significantly by the third infusion. 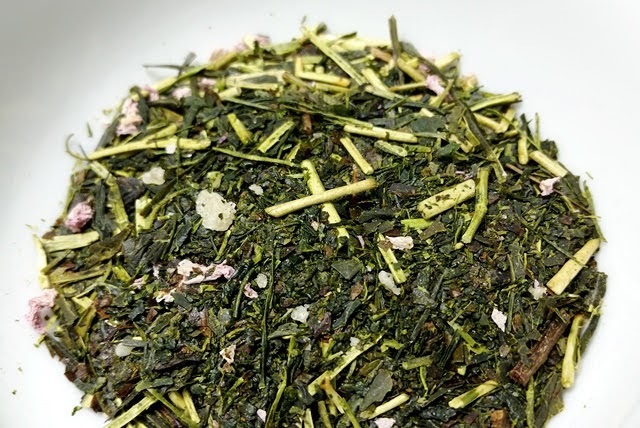 The flavor and aroma are nicely balanced and pleasantly reminiscent of a cup of sencha paired with sakura mochi (my favorite springtime sweet). 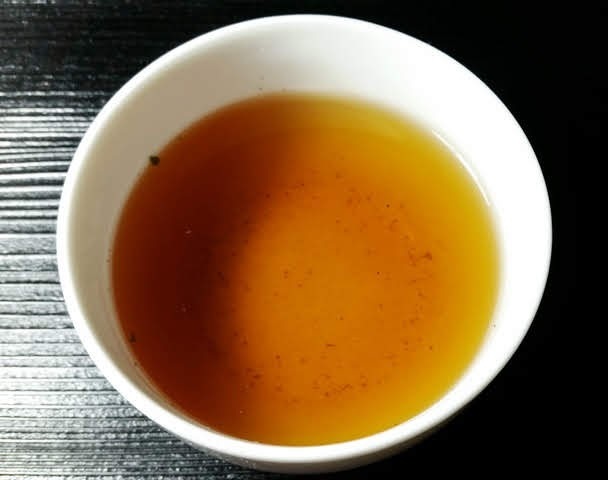 Prepared as a cold infusion using ice cold water and steeping in the refrigerator for 4 hours, the taste was a bit too sharply astringent and the cherry blossom notes didn't come through, so a shorter steeping time of 1.5-2 hours would likely be ideal. 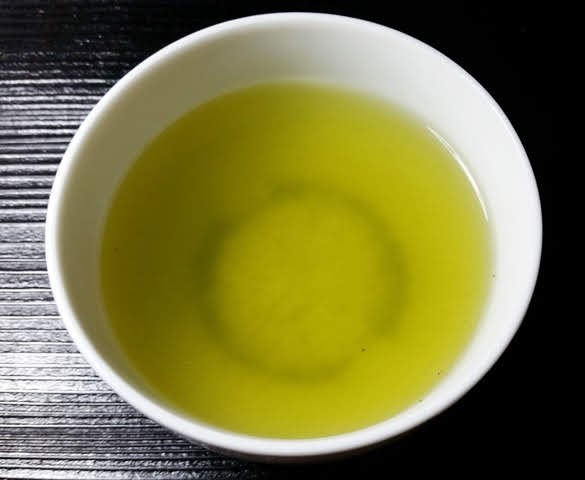 Product Description: In this flavor-rich blend, the umami of Matcha and Kuki Cha are complemented by the tart sweetness of Yuzu (a Japanese citrus best described as if an orange and a lemon had a beautiful baby). Kuki Cha has relatively low caffeine, making it easy to have another cup at any time of day. Even in cold water, this tea releases a smooth, complex flavor, making it perfect for a refreshing cold-brew. The dry leaf blend includes green tea and yuzu peel. The aroma is sweet with bold notes of yuzu alongside nuttye and savory green notes. 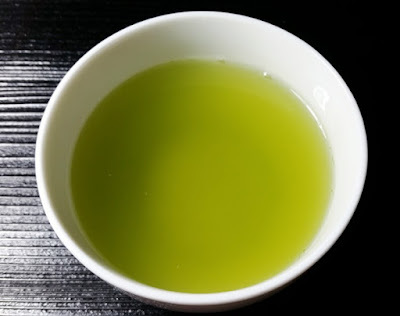 The bright (glowing) green infusion has a savory buttery and nutty green aroma with hints of yuzu citrus. 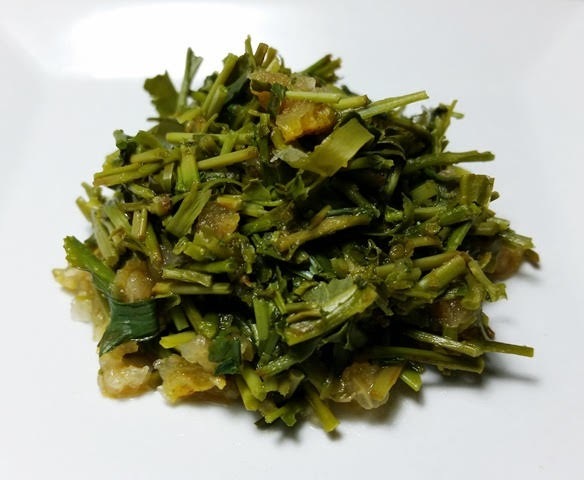 The taste is moderately astringent and boldly green with savory umami and light yuzu notes. 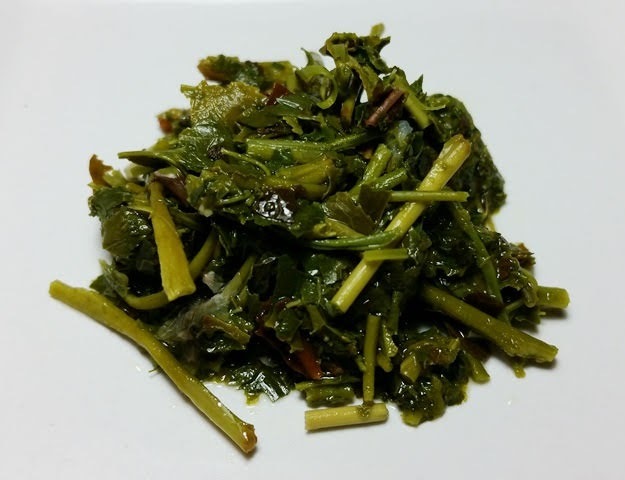 Though the flavor mellowed with each infusion, it remained savory and enjoyable throughout. The yuzu taste became more prominent, though still mild, by the third infusion. Prepared as a cold infusion using ice cold water and steeping in the refrigerator for 1.5 hours, the taste is invigorating with the yuzu more prominent while still being complementary to the crisp and savory green flavor. 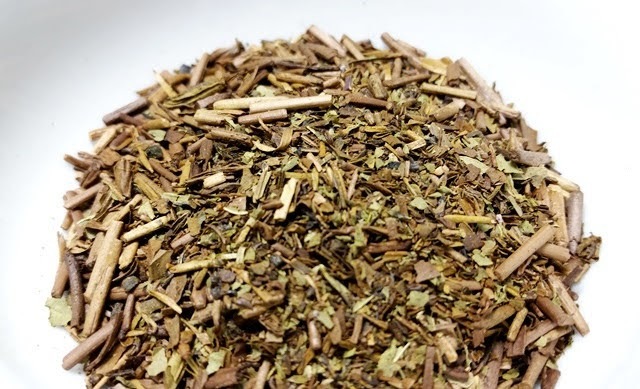 Product Description: The refreshingly cool flavor of peppermint complements the warming earthy but gentle flavor of Hoji Cha in this surprisingly soothing blend. If you are a peppermint lover, this is your cup of tea. 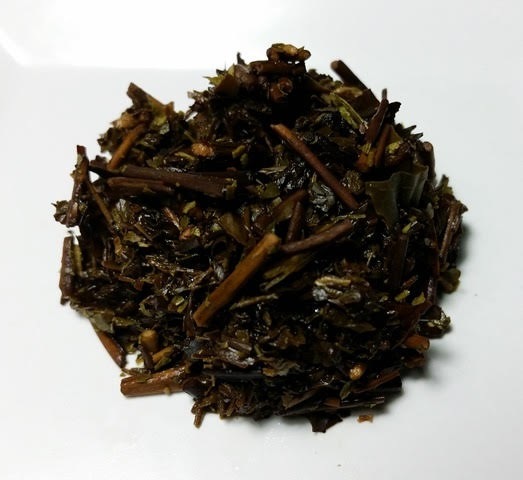 The dry leaf blend includes green tea and peppermint and the aroma of both are apparent. The copper orange infusion has a bold smoky mint aroma with rich notes of roasted green tea. The taste is minty and lightly smoky. For the best results, less is more. Peppermint leaves have a lot of flavor and are feather-light, so fewer leaves (2 grams or less) and shorter steeping time (1 minute or less) will still result in a bold refreshing flavor without being overwhelming. Prepared as a cold infusion using ice cold water and steeping in the refrigerator for 1.5 hours, the taste is brisk and refreshing, especially on a hot summer day. You could safely cut the steeping time down by 30 minutes and still expect flavorful results.